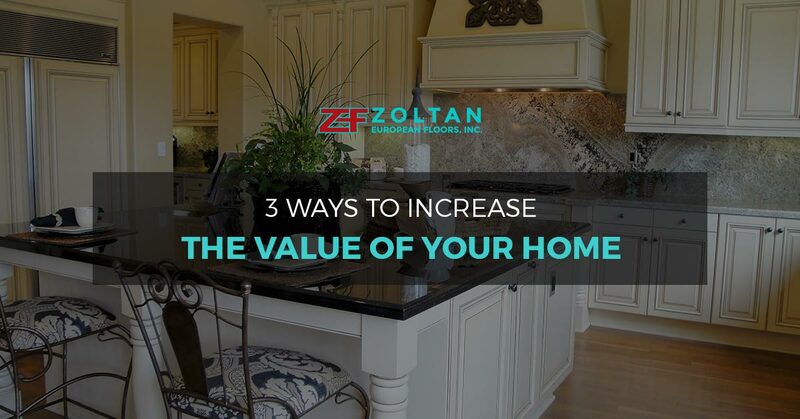 Whether you are planning on selling your home or not, increasing the value of your property is a great way to boost your own financial standing. The more equity that you have in your home, the more monetary resources you have at your disposal if they are needed. That’s why homeowners should be encouraged to take on home-improvement projects! Not only does it make your home a more pleasant place to live, it can help you in the future with a larger return on your initial investment. It’s one of the reasons so many people call on our hardwood floor installation team in Danbury. We’re not just saying this because we’re Danbury’s premier hardwood floor installation team! We’ve seen for ourselves the difference hardwood floors can make in the value of your home. Removing the carpeting in your home and adding hardwood floors can make your space much more appealing to potential buyers. Carpeting is often the first thing new homeowners replace when they move in, so doing it for them can increase your home’s appeal. It’s also great for potential buyers who have allergies; they won’t have to worry about pet dander or other allergens being left behind when you move. Bathrooms (along with kitchens) are the quickest rooms to become dated. Features such as showers and sinks can look old and dirty even when they are perfectly clean simply due to age. No one wants to move into a house and use a bathroom that feels dirty, so potential buyers will be wary of having to take on the cost and inconvenience of remodeling a bathroom on their own. Keeping your bathroom up-to-date with modern fixtures and colors can add incredible value to your home. You’ll see a great return on your investment when you remodel your bathroom. This is a great way to not only give you more equity in your home but give you more living space to enjoy! If you have an unfinished attic, consider finishing part or all of it. Create a “bonus” room that can be used as a games room, sewing room, office or bedroom. Having a beautiful, open space inside the home gives potential buyers a lot of room to play with and they’ll be able to imagine all sorts of great ways to use that room. That means more money in their final offer or simply more space for your family to spread out in (that alone can be worth the investment!). Whether you’ve decided to put hardwood flooring in your home, remodel the bathroom and need new flooring, or are finishing the attic and want a durable laminate to finish the space, Zoltan European Floors, Inc. if here to help! We have the hardwood, laminate and other flooring options that are perfect for increasing the value of your home. Get in touch with our team today and let’s talk about how we can help you build up the equity in your home.